The aim of the project is to improve primary health care for young people in the Metro North Brisbane Medicare Local region. This will be done by understanding the primary health care needs of young people in the region and improving this population’s access to primary health care providers. Metro North Medicare Local have contracted the Youth Affairs Network of Queensland (YANQ) to assist them undertake consultation and research with young people and the youth sector to identify the issues for young people (marginalised) to access primary health services. undertake a literature review and collect data from the region to inform a regional perspective on the key issues for young people’s primary health care needs; to identify key stakeholders in primary health care services for young people in the region. consult with young people and the youth sector about their views on what it would take to have marginalised young people accessing health services in the Metro North Region. This will involve surveys and focus groups. develop the capacity of young people and the youth sector to continue to engage with the activities of Metro North Medicare Local. develop partnerships between key stakeholders to ensure that marginalised young people access primary health care. develop and test some pilot strategies to assist the project achieve its goal of improving marginalise young people access primary health care services. deliver a final report by June 2013. What is Metro North Medicare Local? 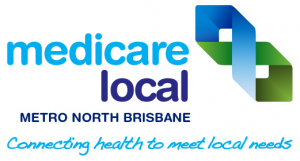 Medicare Locals are an Australian wide network of independent organisations set up by the Australian Government to coordinate and improve delivery of primary health services in their local areas. A key role of Medicare Locals is to drive improvements in primary health care services, ensuring they are better tailored to meet the needs of local communities. The Metro North Medicare Local covers the Brisbane suburbs north of the river, the Moreton Bay Regional Council and a portion of the Somerset Region Council as far as Kilcoy. The Australian Government has committed to establishing, from 1 July 2011 Medicare Locals, a national network of primary health care organisations. These organisations, coupled with the introduction of Local Hospital Networks, are fundamental elements of the Government’s National Health and Hospitals Network which will build on the strengths of our current health system, while encouraging more locally responsive and flexible services, better supporting health practitioners and patients, and improving integration and accountability across the health system.